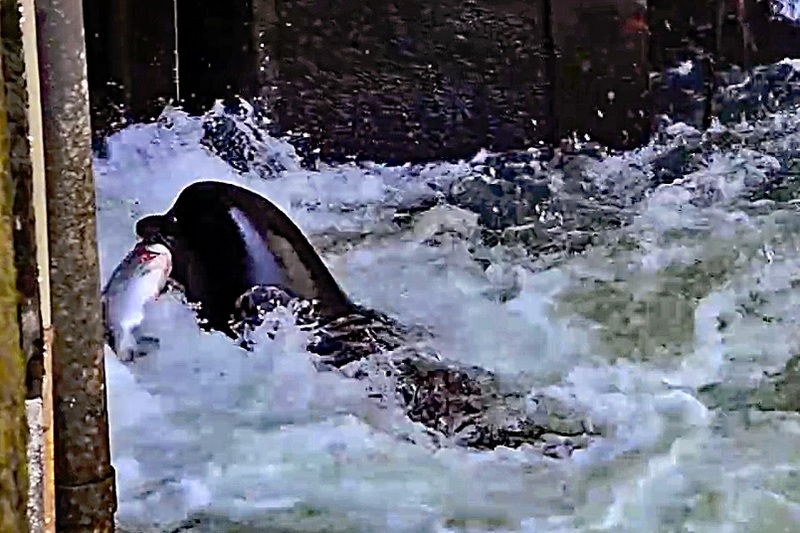 The National Marine Fisheries Service (NMFS) has approved the Oregon Department of Fish and Wildlife’s application to lethally remove the few California sea lions present at Willamette falls in an effort to help save winter steelhead and spring Chinook from extinction. California sea lions in the U.S. are not listed as “endangered” or “threatened” under the Endangered Species Act (ESA). The most recent population estimate for the U.S. stock was 296,750 animals in 2016. ODFW requested and was granted authority to remove up to one percent of the population’s “potential biological removal” level, a metric that translates to a maximum of 93 animals a year on the lower Willamette. According to ODFW’s Marine Mammal Program Lead Dr. Shea Steingass, there are 50-100 animals that are present at the Falls at some point in the year.